Power drills are used in various residential and commercial projects that require drilling of holes in surfaces such as wood, metal, plastic or cement. Whether you work professionally in the electrical field or home improvement industry, a power drill can help you seamlessly complete a project. Pistol Grip: This the most common type of corded drill. It comes with a standard pistol grip and many attachments, making it versatile. Bits and attachments are available that can turn it into an orbital sander, a small hand saw or a boring device. Hammer Drill: Also called masonry drills, these are used for concrete or brick. The hammer mechanism rotates, and it’s ideal for heavier use on harder materials. Some only have a hammering function while others can work to either drill or hammer. There are also rotary and standard style hammer drills. The rotary design accelerates the bit using a piston design while the standard uses a spinning cam. The rotary style tends to be more versatile, as are used as a hammer or a spinning drill. Drill Press: A drill press can be used on a workbench. It is not portable and often used in workshops. It works by clamping the material that needs to be drilled down while a lever is used to pull the drill into the material. The functionality requires less effort to create the holes and the clamping function allows more precise drilling. The drill press is also versatile, offering attachments that can turn it into a sander, polisher or honing machine. Cordless Drill: It is used primarily for a household. It requires a rechargeable battery to power the drill. Different battery voltages are available and may vary according to the application you are using the drill for. The 18-volt drill works for most people who are looking to do household repairs or small projects. However, the battery packs are available in up to 36 volts for heavier tasks. This drill is not designed to last forever. Also, because the batteries only allow for limited use, they have to be recharged periodically. Many attachments and drill bits are available for cordless drills, allowing it to turn into an all-in-one machine. Just as there are many different types of drills available, they also come in a variety of voltages. A high powered drill may come in handy for professionals while a homeowner may not require that type of power. Understanding a bit about voltage can help you find the power drill that is best suited for you. Voltage is the amount of power that is available to the drill. It represents the amount of power the drill will have when it is being used. A higher voltage will provide more power, but it will also be more expensive. It will also be heavier and have more settings, attachments, and bits. To decide which power drill is best for you, a number of factors should be considered. If you are purchasing the drill for common household tasks, a lower voltage drill should be sufficient. For some, a drill with 9 volts should be fine. However, larger voltages are recommended for larger projects. If you are still at a household level but need to drill through heavier materials, you might consider a drill that is 14.4 volts. If you have a workshop and drill constantly, a 24-volt drill may be best. Lower voltage drills are less versatility than higher voltage models. You will be able to drill through drywall and will also have a few settings for torque. A 24-volt drill is more versatile and commonly offers a hammer drill setting that isn’t found in lower voltage drills. 18 to 24-volt drills are recommended for contractors, professionals and those who have a knack for more extreme DIY jobs. Another consideration you may want to look at when purchasing an electric drill is whether to go with a corded or cordless power drill. 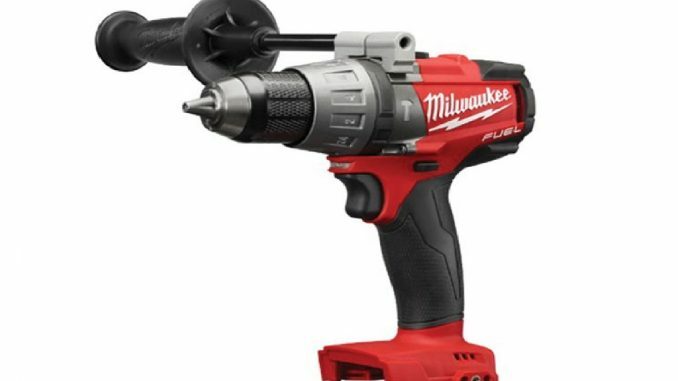 While a cordless drill is convenient as it offers portability, it doesn’t last as long as corded models. Also, although cordless models offer the same power and voltage, it doesn’t always provide the same reliability in the torque and power. This is due to the fact that the cordless drill loses power as the battery wears down. Meaning, you won’t always get the full power voltage out of the drill when you are using it. If you plan to use your drill frequently, or for long periods of time, a corded drill might be your best bet. Brushless Motor: It offers high efficiency for better run time, more power, greater durability and lesser maintenance. Drills that have this feature will also be lighter and quieter. Power Output: This refers to the rating of the power capability of the drill. The units-watts-out (UWO) number measures the output as a combination of speed and torque. Built-in Light: Helps you see as you are using the drill. Built-in Level: Helps you drill and install fasteners more accurately. Adjustable Side Handle: Helps you perform heavy drilling with more stability and control. Accessories: These can include cases, spare batteries and drill and driver bit sets. Also, if you are shopping for a cordless drill, make sure the drill comes with a charger. This is not a mandatory accessory in all cordless drills. When choosing a power drill, you should also consider the size and performance. It might feel good at first. However, after a few hours, you might feel its inefficiency. Think about the work you need to do and consider the size and feel of the drill. The design of the drill will also be a factor in how easy it is to use. Two common drill handle styles are available. These include the T handle drill which features a handle near the middle of the drill body. This makes for a better weight balance and less wrist strain. The other design is the pistol grip where the handle is at the rear of the drill. Power drills are tools that are commonly found in the workshops and toolboxes of electricians and handymen. If you are in the market for a power drill, it is a good idea to research in advance and familiarize yourself with all the available features to decide which one is best suited for you. Good luck finding the tools that will be useful for all your applications. How Do GFCI Outlets Work?